Star Citizen is now creeping up on $74 million in crowdfunding, which is a thoroughly ridiculous number and might lead people to question, quite reasonably, when that mountain range of money are going to add up to a game that resembles the one that Chris Roberts detailed when this ride began. The answer, according to the latest "Letter From the Chairman" update, is actually quite soon. "Building our universe is already the most creatively satisfying thing I’ve ever done. But the coming months are going to be something else," Roberts wrote. "Without sharing internal target dates, I will tell you that we are entering into the tightest schedule we’ve ever had for public releases. In short order, you will see Arena Commander 1.1 (now with REC! ), the FPS module and the so-called ‘social module,’ our first foray into the persistent universe." Arena Commander hit version 1.0 in December 2014, but Roberts said at the time that it was "a beginning, not an ending," and that development of the module would continue. The FPS module had been revealed prior to that at PAX Australia, where developers said it, the social module, Arena Commander 2.0, the first chapter of single-player mode Squadron 42, and the persistent universe would all see the light of day in 2015, "in that order." 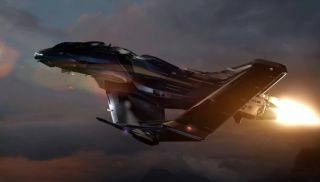 "We’ve talked a lot about how Star Citizen will come together from disparate pieces over the past year, and we are now entering into when that happens. I can’t express how excited I am," Roberts continued. "Will there be unforeseen issues, bugs to squash and things to balance? Yes! …but I know that I have an amazing development team AND the best community ever assembled behind me. Stay tuned: it’s going to be big!" Roberts also revealed that the Star Citizen FPS module will be publicly playable for the first at PAX East, which begins on 6 March.